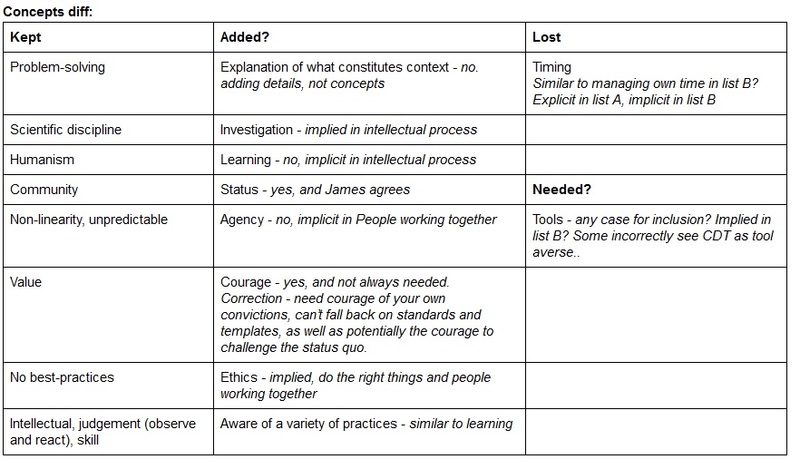 ER: Learning exercise on the Implicit Principles of CDT | Is it good enough yet? Fool’s errand, or knight errant? Any journey of self-discovery, intended or otherwise, is hardly a mission in foolishness and this one is no exception. It’s led you to this blog post, which is an excellent discourse on the context-driven principles, something I don’t re-visit anywhere near enough. 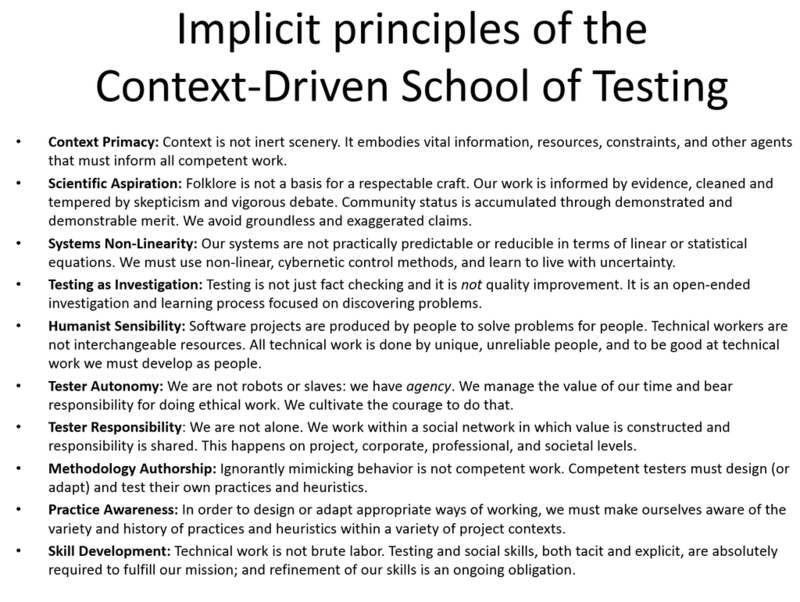 On the language, I can see those implicit principles being somewhat inaccessible to the lay-tester. In fact, I might even suggest they’ve been deliberately authored that way in order to discourage casual reading (though that wasn’t the primary intent). Is this a good thing? Maybe – if they’re supposed to be expanding the core principles, then the expansive language supports that. Actually, I’m tired right now so I’m going to read this again tomorrow. Too many half-baked thoughts in my head and all that, so I guess this serves as a very long-winded to say thanks for writing this. What a great piece – and no, it’s not a fool’s errand. I think you’re doing something that I wish every tester did more of. Take the concepts of others such as the CDT principles, and try and reword them yourself, make them your own and explore the ideas behind them. And I love your story, it shows that “transferring something to your own” is a superb way for complex stuff, like testing.